Workers’ Compensation injuries may be the fault of a third-party, not the employer. In California, the employer can recover those costs through a subrogation action filed in Superior Court. Who could have prevented the accident? The answer to any of these questions can lead to a third-party who may be held liable for the accident and the employee’s resulting injuries thus providing a basis for subrogation recovery. Even if an employer’s actions/inactions contributed to the accident that does not preclude subrogation. It merely limits the amount of recovery. 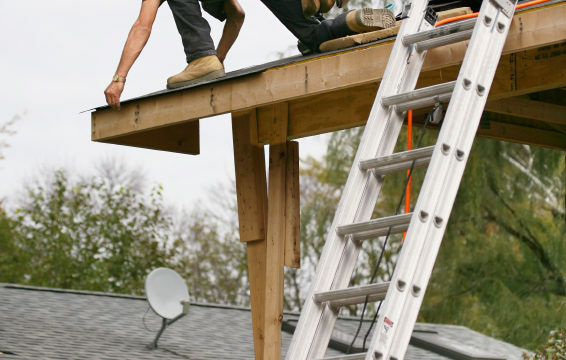 Most employee accidents caused by a third-party are potential subrogation cases. These include, but are not limited to: (1) slip and falls off-site; (2) automobile accidents; (3) equipment defects; (4) toxic exposures. Subrogation discovery delves deeper into investigating the cause of injuries, specifically looking into who is liable for the resulting injuries. This includes not only serving written discovery on the at-fault third-party(ies), but also deposing percipient witnesses. Expert discovery may also be needed regarding the cause of the accident, the injuries sustained and the reasonableness of the cost to treat the injuries. Depending on the injuries sustained, an employee’s workers’ compensation claim may take longer and resolve after the civil case settles. This will likely occur when the injured employee is anticipated to need future medical care, such as surgeries or additional therapy. Ideally, the injured employee, employer and at-fault third-party will enter in to a global settlement that includes all parties and resolves both the workers’ compensation claim and the civil lawsuit. In matters where only the civil lawsuit resolves and the injured employee receives a monetary settlement, the employer will have the right, pursuant to California Labor Code Section 3861, to receive future credit for the net settlement recovery received by the employee. Ideally, the employee will stipulate that the “net recovery” credit will be applied to the further workers’ compensations benefits, including permanent disability payments and future medical care. Even if the employer declines to intervene in the civil matter or assert a lien, it does not waive the right to credit for the “net recovery” in the injured employee’s workers’ compensation case. Curtis v. State of California ex rel. Dept. of Transportation, (1982) 128 Cal. App. 3d 668, 683. Complaint in Intervention: Employer intervenes and becomes a party to a civil suit filed by an injured employee against an at-fault third party. This route would require asking the court for permission to intervene and become a party to the civil case. Complaint: Employer files a complaint in subrogation against the at-fault third party. The same statute of limitations applies as if the employee was filing the civil complaint themselves. In personal injury cases, the statute of limitations runs 2 years from the date of the incident. Lien: Employer asserts a claim of right of payment from the proceeds received by the injured employee from a personal injury settlement or judgment. Pursuant to California Labor Code Section 3852, an employer “steps into the shoes” of the injured employee against an at-fault third party. In essence, the employer may bring all claims the injured employee could have brought against the at-fault third party and assert reimbursement of the benefits paid to and on behalf of the injured employee. Regardless which route the employer decides, once the employee files a civil lawsuit against a potential at-fault party, the employer should provide the employee with notice regarding its right to reimbursement. To find out more about your rights and RTGR Law’s subrogation practice, please contact our senior subrogation attorney, Gemma Mondala at gemma@nullrtgrlaw.com or (510)338-3166.